What comes in your mind when you hear the term “Online Marketing”? Facebook? Blogging? Search Engine Optimization? WordPress? Or maybe you just think about pay per clicks, online advertising and search engine marketing when you hear the term “Online Marketing”. Regardless of these different approaches, one term is definitely clicked in your mind and that is “difficult”. Yes, online marketing is quite difficult. 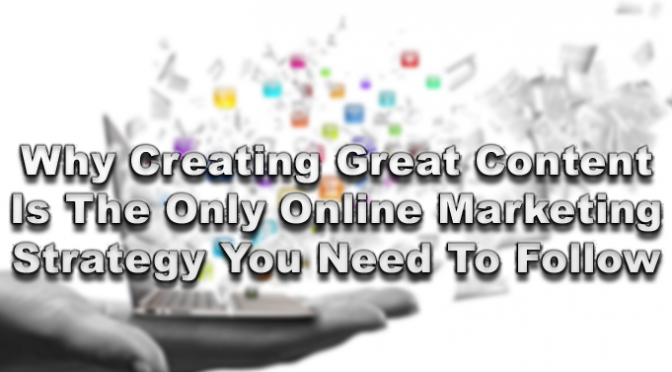 Online marketing is everything about the type of content that you create. The first and the foremost strategy of online marketing is to make a quality content. Indeed, the facebook likes, twitter followers and other social media sites like instagram, reddit, pinterest and other sites are cool but they do not really create any sort of profit for your business, do they? Just think about it that exactly how many times have you patronized a business because of the likes on a facebook page? Never, right? This is the exact point. Yes, this is true that social media is quite important for the online marketing, but only in that case when you have a really good content. The content can be anything, literally, anything. It can be a nicely written article or a blog post, it can be a simple t-shirt with a catchy phrase on it or it can be a fancy t-shirt with some attractive logo. People in this business think that they can catch a huge traffic on their website if they will post some catchy lines along with a catchy photo on Facebook that will lead to an increase in their profits. Well, this is one wrong concept. If online marketing were that easy, every single person would be a guru of online marketing. But sadly, this is not the way. Achieving your goal is always worth hard work and constant dedication; just like that, online marketing also requires this type of hard work. Creating a great content is not at all easy, but however, when you get successful in creating a really good content, then you have a huge amount of the means at your disposal that could easily help that specific content to go all viral. You must have seen many videos on youtube and facebook that has gone really viral. Why? Because of its content. Just because of the content, the video got so many likes and shares on internet. A normal person is not capable to have enough money to make his website go viral so all his asset is his own imagination. With the help of his own imagination, he can create a good content and get fame. While sharing the content, make sure that you use each and every avenue you can think of. Let it be anything like YouTube channel, Press Release, Social Media, Blog and etc. Do not think about using automated software, they are annoying for the people and for the Google as well. Use your own original content and get your followers. The first thing you should realize about Google is that Google is NOT the Internet. Just because your website does not show up on Google, does not mean it is not on the Internet. Your website can be published on the Internet without being displayed in Google’s search results for a particular keyword. The way Google and other search engines display websites is this: Google has automated computer systems working around the clock that randomly visit websites all over the Internet, take snapshots of each page, and file them away in a massive database. As part of taking a snapshot of each web page, Google’s system reads every word and other content on a web page in order to determine the specific subject of the page. Google uses this collected data to determine which web pages to show, and in what order, for a particular keyword search. In other words, Google’s computer algorithms dynamically determine which web page on the Internet is the most relevant for a specific key word or key phrase and displays it first. It then displays the second most relevant page, and so on. The resulting list of web pages is known as a Search Engine Results Page (SERP). 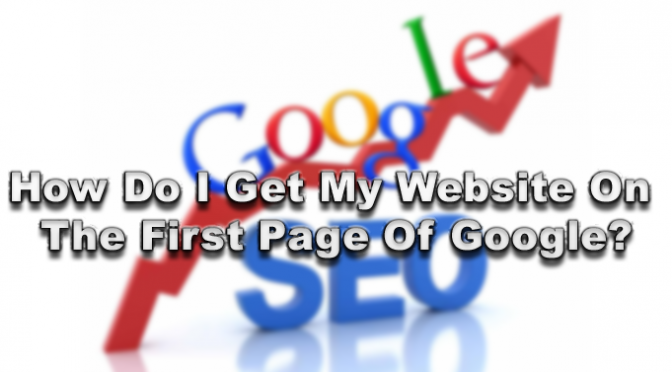 First, you need to make sure your website has been indexed by Google. To find out if it is, type site:yourdomain.com into the Google search box, replacing yourdomain.com with your actual domain name. If you see a listing of your website’s pages, then Google has already indexed your site and will continue to visit it occasionally to check for updates. If your website is not listed, submit it here: http://www.google.com/addurl. It will take 1 or 2 weeks for Google to visit and index your website. Secondly, remember, Google will only display web pages that are relevant to the keyword being searched. The first step is to make sure your web page’s text is related to the keyword in question. If it’s not, chances are Google won’t show it. Third, just because your website does not show up on the first page, doesn’t mean it is not showing up at all. Go to the bottom of the results page and click “Next” for page 2 and so on. Your website may be on page 2, page 82 or somewhere in between. Okay, My Website Is On Google, But It’s On Page 41! How Do I Get It To Show On Page 1? Ah! You’ve asked the million dollar question. An entire industry has been built to answer this question and millions of dollars are spent each year to accomplish this! My first question for you is, “How much money do you have?” Just kidding, but seriously, the good news is you can pay to be on the first page of Google and it doesn’t have to be a lot of money. The quickest and easiest way to get on page 1 of Google for a particular keyword is to pay for an advertisement. You sign up with Google, choose the keywords you would like to target, then “bid” (yes, like an auction) on how much you would like to pay every time your ad is clicked on. This is called “pay-per-click bidding”. The higher you bid per click, the higher your ad will appear to the top of the page. You can also set a daily budget so that when your budget is met, Google will not show your ad any more that day so it won’t be clicked on and you won’t be charged. This is a cheap and easy way to show up on Google’s first page. The other way to get on page 1 of Google and other search engines is the organic, or natural, method. These are the main results that show in the larger left column of the search engine results pages. These results cannot be achieved by paying money to Google – they are achieved with careful and longterm manipulation of many factors that Google uses when ranking relevancy. 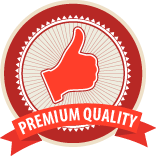 Quality of Inbound Links (the most important factor!) – If other sites are linking to yours, especially big important sites that have content relating to yours, then Google will rank your site higher. Keywords in Page Content – Obviously, if the keywords you are targeting actually appear on your site in the text and titles of the pages, you will rank better for those keywords. Trustworthiness of Domain Name – The longer you’ve owned the domain, the better. Actually, the length of registration helps too (ie 5 year renewal vs 1 year renewal). URL Structure – “Pretty” URL’s are better (http://bigbuddymedia.com/blog is better than http://bigbuddymedia.com/index.php&id=54). If your page URL’s are human readable, that’s a good thing. Internal Link Structure – Your site should be easy to navigate and have a logical link structure. Bounce Rate – Your bounce rate is the percentage of 1-page visits – the lower the better. This means visitors are visiting more than just one page of your site consistently. Outbound Links – The links you place on your website should be relevant to the content of your website. Google doesn’t like weird link exchanges that have nothing to do with your industry. Additionally, just because you rank well for one keyword or key phrase, does not mean you will rank well for a similar key word/phrase. Also, Google is constantly updating their ranking algorithms so today’s rankings may not equal tomorrow’s rankings. Expect to see your site move up and down in the rankings on a daily or weekly basis – it may even drop from the rankings altogether. This is why SEO should always be ongoing. Some web designers are graphic genies while others are more programming masters. The graphic design experts will give you a site that immediately woos your audience, but there’s not much going on in the background. The programming experts will give you a decent looking site while all the main work will be in the background, providing high-end efficiency. The choice is yours to make but typically, a site that runs well matters more. However, to some, attracting visitors in the first few seconds is the main goal so they go for the graphic designer experts. So choose wisely: functionality and responsiveness or attractive design? Before choosing a web designer, ask them if they’re going to focus on optimization. If they say no or straight up look confused about the prospect, you’re not dealing with a professional. A good website designer will always focus on SEO as a priority and optimization will be hinted in the creation of your site. Obviously, cost is an element that cannot be ignored. Especially for small businesses, every investment is a significant matter, so how does one choose the right cost and budgeting for web design? The thing is, while the cheap offer from your friend or a site boasting really cheap rates may sound good, the value is zero in both cases so whatever you spend is a waste. The friend’s work won’t set you apart like a professional and the cheap company will probably use templates on your site that are generic and unattractive. It is best to choose a decent, reputable company and bear the costs (though compare different companies to find the most suitable rates) – because in the long run, it is a good site that sells, so the ROI will equalize the cost spent. You will be Working with the Designer You Choose- Their Attitude Matters! Lastly, it may seem too insignificant to notice but you want to work with someone who is friendly and cooperative. You need to have a good experience building your site and as a business owner, would probably want to have an important say in all the matters. Any web designer who is not communicative or respectful of your wishes is one who isn’t worth it! Your business website is more than just your online presence; it is your image, your quality standard, and a platform for attaining customers. 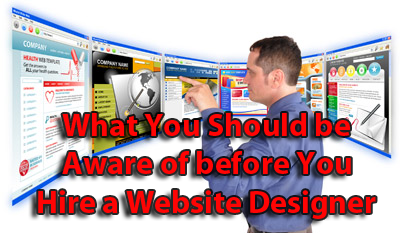 The web design of your site defines all of these aspects for you so its importance cannot be overstated. However, many people find custom web design too “unnecessarily expensive” when there always the cheaper alternate of website templates. To refute that claim, here are all the reasons why custom web design matters substantially. In the highly competitive market of today, standing out uniquely is ideal. Custom website design allows you to make a truly unique website that is different from all the others. Template design is common and most likely many of your customers are already familiar with the template pattern, layout, and design. Unique custom designs will set a professional and high quality image for your brand. Custom designed websites will always take the lead when it comes to search engine rankings. This is because they are more optimized for SEO whereas template sites are not optimized at all. This higher ranking means the chances of your website getting traffic increases significantly. With custom web design, you have the most say in how your website is designed. You can add your preferences, focus on features that you know your target audience would enjoy, you can ask for changes to be made, and truly own your website. With a custom website design, you are basically starting from scratch. This means you can visually set your website in any way that is most appealing in your opinion and you can add custom features that really grab the interest of your audience. With custom website designs, you effectively cover design and function. It’s true, custom web design takes more time to create than generic template form websites but once the process is complete, your website is modern, updated, and on the top. It is amongst the latest of websites and with minor tweaks and updates regularly, it can remain one of the trendiest sites in the long run. The continual support your website gets from custom web designers keeps it steadily at a professional and perfect level. Experts even look into your brand specifications and maintain your website within its standards and requirements to keep it completely relevant for your visitors. To conclude, it is clear from all the benefits of custom website design that while website templates may be cheaper, custom design goes a long way and offers more value for money. As always, an investment is only good once returned! When you have your own website, online dental marketing companies can make use of it in the right way to help create the necessary exposure. If you do not have one, then it is a really good idea to get one done for you. 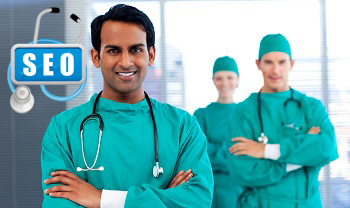 A good website will contain all the necessary information that a patient would want to know regarding your business. When it is organized in the right way, it creates a good impact and speaks volumes about your organization. 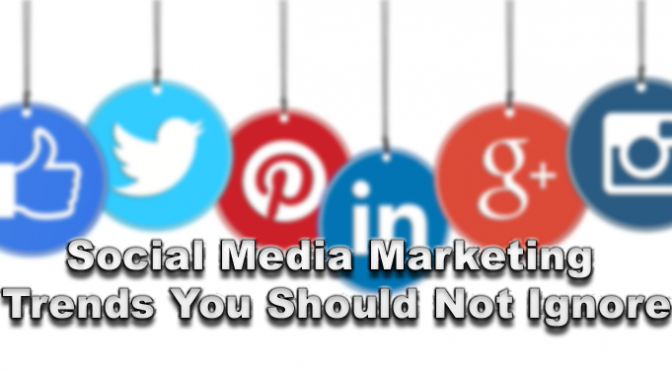 Social media is one of the best ways to market your products. Even SEO services will help your company as well as your official website get the necessary flow of traffic. 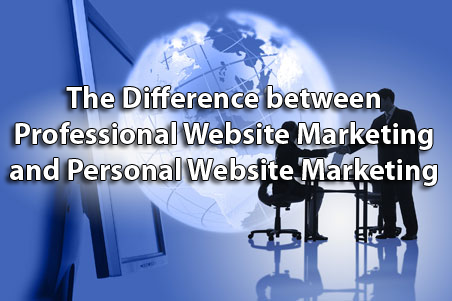 These two forms of online marketing on their own can work miracles for a business when it is done properly. With the help of keywords and other such tools, these marketing tips can really help you. Another way that you can use the help of online marketing is by sending various kinds of Emails to your patients as well as to new and potential customers telling them about the various upcoming campaigns or camps that you are planning to organize. Another way to go ahead and market your company is by developing various kinds of content or blogs that speak about the kind of services your company offers as well as about how your company can benefit a patient. 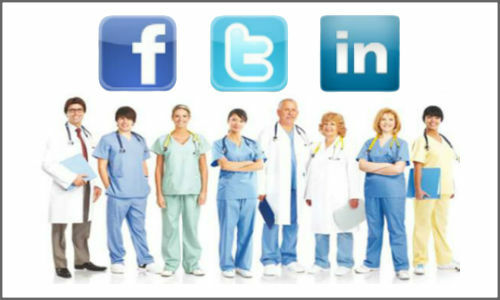 Dental marketing online is all about using the right methods and getting the attention of customer’s. Online dental marketing companies use the help of various kinds of press releases and newsletters to help your business. These forms of marketing can help your business stay in touch with your customer’s and patients and let them know all the various changes that are happening with your business. It also helps people to know what kind of services you offer and at the same time promote your company website. If you have received any kind of achievement or awards, you can spread the word with the help of a press release. Online marketing has no boundaries on how effective it can be, this is why online marketing is one of the most preferred forms that people use. While it can reach out to a lot of people at the same time, just by following these few simple steps, you can reach out to a lot of people and get the maximum results from your marketing. We all know that when we use technology in the right way, it really helps us a lot.